Money Market Tips: SHARE MARKET-How I select and invest top 5 stocks which are likely to give a 20-time return in 20 years? SHARE MARKET-How I select and invest top 5 stocks which are likely to give a 20-time return in 20 years? It is near impossible to identify 5 stocks which can give 20 fold returns in 20 years but it is very easy to narrow down 5 stocks out of 20 to 25 stocks which may turn out to be 20 baggers over a span of 15–20 years. For selecting and buying shares please check the following company details. Company PE, dividend history for the last five years, Bonus history, Book value, reserve, debt equity ratio( below 0.5), promoter holding (above 40%), ROE(above 15), ROCE(above 20)& pledging of shares(below 20%) etc. 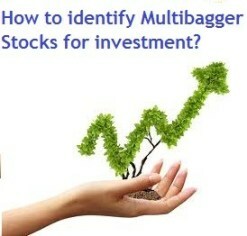 You may select shares after considering the above details; your shares may be multibagers. I mean that, invest your money in 20–25 possible outperforms and track them for 3–5 years in the span of 6 months. Every 6 months analyze your portfolio and quit the stocks which are down by 10–15% or more and switch to stocks which are best performing mean which are gaining 10–15% or more. Follow this process for 3–5 years until you are left with 5 stocks. I am sure that these 5 stocks will perform for rest 15–17 years. Previous history shows that good stock performs for long. Hope it helps. Wish you good luck.